suffering from them are different. into account the differences among people..."
Is the mysterious Mother of all"
Shenacu provides Acupuncture alongside Tui Na (Chinese medical massage), moxibustion, cupping, lifestyle and nutritional advice which are all aspects of Traditional Chinese Medicine. As one of the oldest forms of healing known to mankind and the largest drug free therapy in the world, Traditional Chinese Medicine has gained much recognition in western society in the last 50 years. It has a very rich history dating back over 3000 years and is continuing to play an important role in modern healthcare today. What makes it most uniquely suited to modern healthcare is the ability to view the body as a whole – lifestyle, mental, emotional and physical aspects of one’s life are all taken into consideration when forming a diagnosis. The whole person is evaluated, not merely their presenting symptoms, leading to a more thorough examination of the deeper underlying imbalances that can cause ill health. Chinese medicine has specialised in treating children dating back to the Song Dynasty (960-1279). 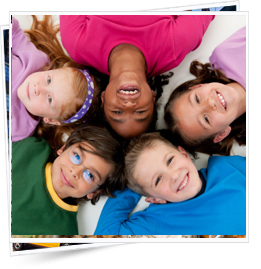 The key to facilitating healthy growth and development is to prevent or resolve acute conditions and address underlying weakness by strengthening the child in the early stages, ultimately decreasing the likelihood of chronic illness later in life. Acupuncture treats a wide range of disorders and is also used to maintain general wellbeing. Over 30 years ago the World Health Organisation (W.H.O) listed 40 diseases that can be treated by Acupuncture. I would have no hesitation in recommending Gillian to anyone. She is a lovely person but more importantly, she is extremely skilled at what she does and I wish her every success in the world. I went to my GP with a Frozen Shoulder and he recommended me to a consultant at Blackrock Clinic and Physiotherapy. After a long time and spending a lot of money, nothing was helping and I also developed excruciating Sciatica in one hip. My mother suggested acupuncture and Gillian was recommended to me. She sorted my pain after a few visits. I was referred to Gillian with re-current miscarriage and auto immune issues 2 years ago. From the moment i met Gillian I knew I was with the right person. Her knowledge and understanding of my specific issues go far and beyond that of an acupuncturist. Through Gillian, I always felt equipped for the journey that lay ahead for us. My husband and I both feel that Gillian played an integral part of the safe arrival of our baby 6 months ago. I have been attending Gillian Searson for acupuncture treatment since… and am very pleased to say that I have found, and continue to find, her treatment of very significant benefit. Always full professional in her approach, her support has been invaluable. I am happy to recommend her without reservation. Gillian Searson of Shenacu is an amazing therapist. She was recommended to me by a trainee acupuncturist and I went to her with a whole host of issues and definitely some scepticism which was thankfully unfounded. Shenacu provides Acupuncture alongside Tui Na (Chinese medical massage), moxibustion, cupping, lifestyle and nutritional advice which are all aspects of Traditional Chinese Medicine. 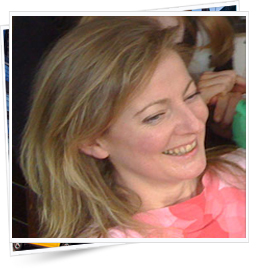 Shenacu Acupuncture is owned and operated by Gillian Searson. The clinic is located in Sandyford, Dublin. I am recognised by all the major health insurance providers in Ireland. These include VHI, Laya Healthcare, Avivas Health and HSF. Other health insurance schemes also cover treatments, such as the Garda Medical Aid and ESB, among others. Please check your individual policy or contact your provider for further information. © 2011 Shenacu. Site by Sorca Design.